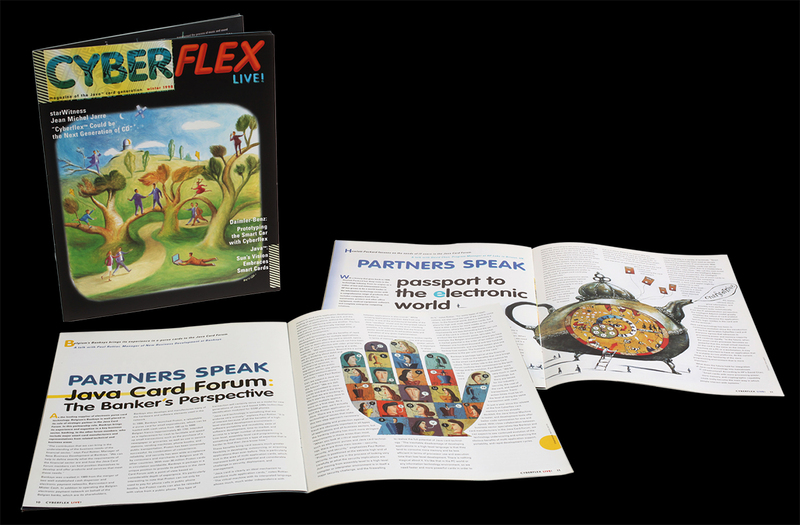 Concept, creative direction, content creation and copywriting, layout and illustrator selection of CyberFlex Live! Java-card generation quarterly magazine for Schlumberger and its clients (with Strateus-Lœwe agency). Creative director Fuka, content creation and copy-writing Charles Toberman.